Alright, so I know there’s a lot of different “genres” of rave clothing. Let’s try and clarify them shall we? First, lets make a list. What am I missing? Enlighten me. I know there’s a bajillion goth styles and I can’t cover them all (others do it better too). Past or present, what distinguishable styles have you seen pop up in your area? Do they have a distinct clothing/fashion style? Can you describe it? I doubt they had a codified look to them, they looked like most people in the early rave l8 madchester scene (60’s revival, anything colorful, or nothing special at all) their rave was a diy unpretentious affair. 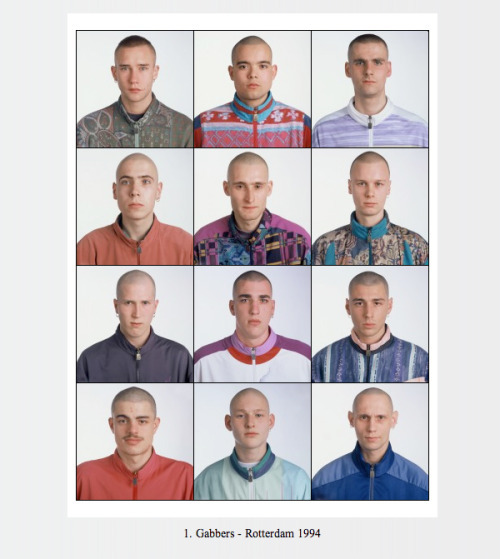 I think their look had a darker edge to it as the rave scene started to change (what with the illegalization of them), a lot of shaved heads, black, leather, etc. Wow, I fall under three. Junglist, Rave Photographer and Backpacker.